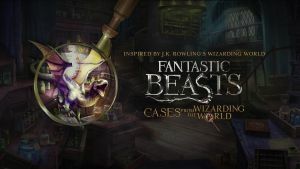 Based on the movie 'Fantastic Beasts: Cases From the Wizarding World' this free-to-play mystery game allows players to be part of the wizarding world inspired by J.K Rowling. Unlike the movie the game in not set in 1926 America and players will instead find themselves in the modern age in totally new locatons that also includes familiar ones from the Harry Potter movies. No discussions open for Fantastic Beasts: Cases From The Wizarding World at the moment.